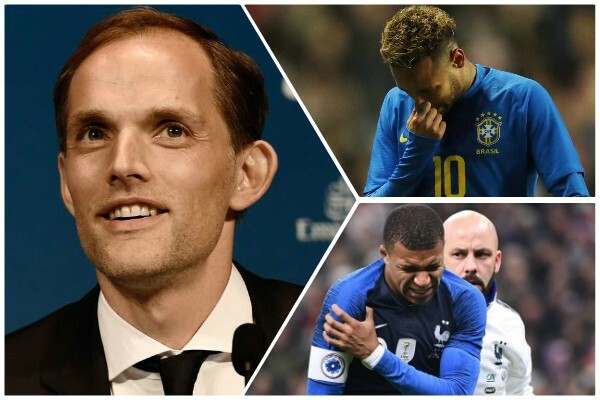 PSG boss Thomas Tuchel says his star men Neymar and Kylian Mbappe could both return in time to face the Reds on Wednesday night after recent injury scares. Neymar lasted just eight minutes for Brazil as they played against Cameroon at MK Dons, while Mbappe fell heavily on his arm playing for France in a 1-0 victory over Uruguay. The news that both could be back in time to face the Reds is hardly a surprise – PSG have basically already won Ligue 1 and so they were always going to do everything to get them on the pitch for the Champions League. If the Reds win in Paris, qualification for the knockout stages would be confirmed, with the last-16 draw scheduled to take place on December 17. Clearly, playing PSG without Neymar and Mbappe would be preferable, but even if they are fit to play, the Reds are more than capable of getting a result.